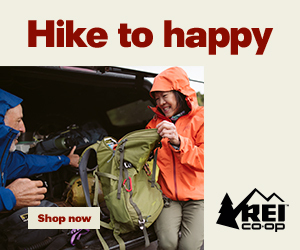 When it comes to hiking gear, my personal philosophy is whatever helps you get outdoors. Research, trial and error, and personal preference all factor into an ideal backpacking setup. With over 2,500 miles of hiking experience, gear is still one of my favorite topics. Knowing where to shop and if you’re getting a good deal are often the first barriers to entry. Gear evolves every season and you can shuffle through many pieces over the course of your hiking endeavors. Here I’ll share my gear lists, the best places to shop, and secrets to getting the best deal. The Concrete Hiker participates in affiliate partnerships, allowing a means for us to earn fees by linking to products and affiliated sites. At no extra cost to you, I may earn a small commission if you purchase via the links. By doing so, you support this blog and help keep this operation up and running. Thank you for supporting The Concrete Hiker's mission of inspiring adventure and sharing the journey!